The RT2018 conference tradition is to have all talks in plenary session. Featured speakers will be given special instructions individually. Oral presentations should be 16 minutes long, plus a 3 minute allowance for question and answer, for a total of 19 minutes. The colleagues chairing the sessions will have to keep them running on time, and we thank our speakers in advance for their cooperation. To avoid losing precious time to computer and projector-interface issues, we will provide a central projection computer, and we ask that all slides be loaded onto it before the session begins. The projection computers will be equipped with PowerPoint and a PDF Reader. where <session> is the name of your session (like "Upgrades 1") and <abstract ID> is the identification number of your abstract. If you forgot your abstract ID, please have a look at the list of all contributions. The abstract ID and the contribution ID are the same. It is the number in front of your contribution. hen you upload your presentation, you have two options concerning protection. 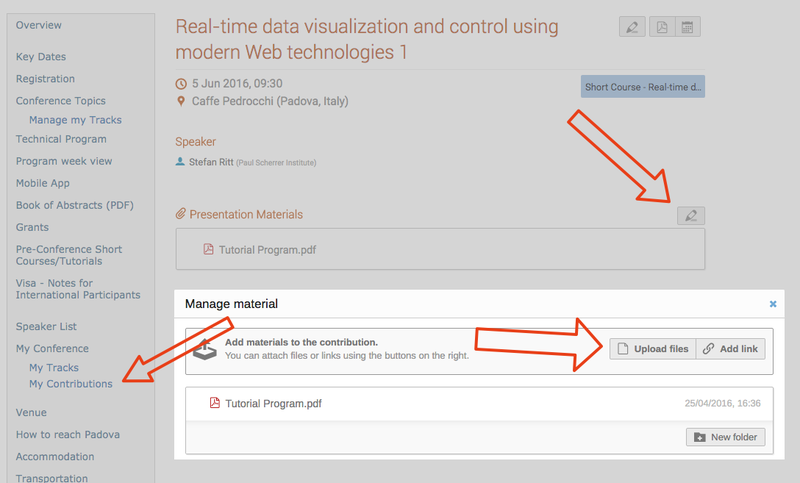 The default is "public", which means that all conference attendees can download your presentation. If you do not want this, please flip the "Protected" switch to "Yes", which makes the presentation visible only to the organisers of this conference. 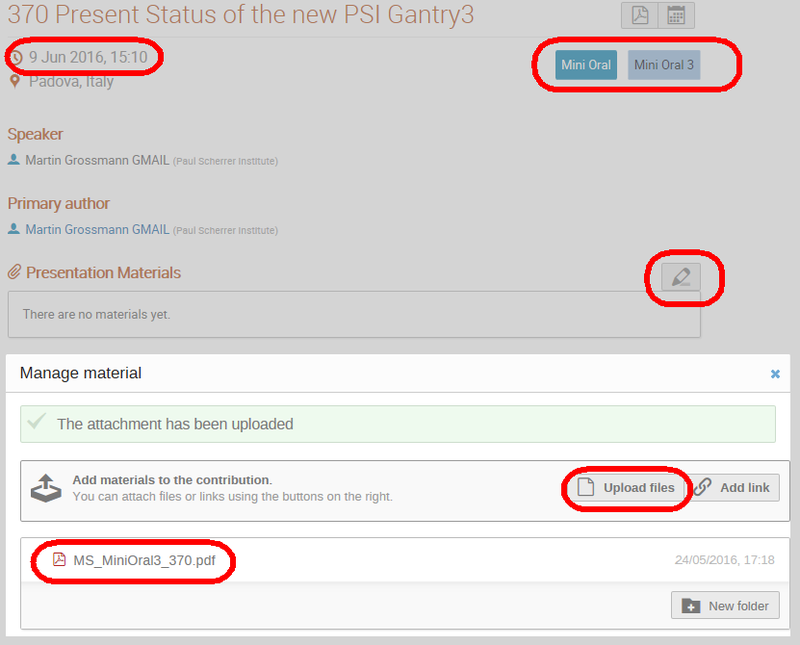 Alternatively, you can upload two versions, a protected version which you will show during your presentation (OS_xxx), and a public version (PS_xxx) which might have some pages removed for example and are intended for the general public. In the IEEE Real Time conference series, we value the poster contributions highly and make a strong effort to help the participants find posters that are in their areas of interest. 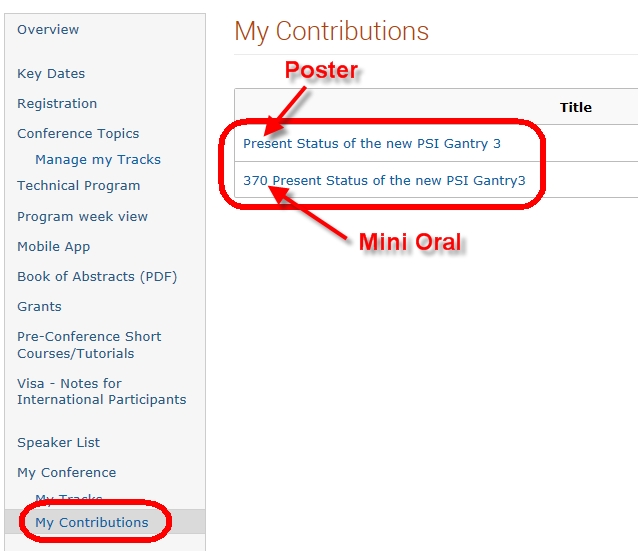 To do this, each poster presenter may give a short (2 minute) "mini-oral." The mini-orals will be given in a dedicated plenary session before the poster session. The purpose of your mini-oral is to create interest in your poster, not to duplicate it, so instead of trying to cram as much information as possible into that short time, just summarize your poster using two or three PowerPoint slides. Click here for an example of slides from a well received mini-oral from a previous conference. Your poster space will be approximately 1.0(W) x 1.5(H) m2. Most plotters with A0 size (841 x 1189 mm2) rolls of paper will produce a nice poster that fits in this area. The board will be suitable for pushpins or thumbtacks. Pushpins, and other small office supplies, will be provided. Simply printing out a Proceedings manuscript does not work very well. A poster is rhetorically and visually different—more akin to a slide presentation than to a journal article. The lettering should be readable from several feet away. We strongly recommend that you print your poster before travel and bring it in a tube. Having your poster already printed makes for a more pleasant and relaxed day with no risk of missing our plenary speakers. Just in case, though, we can introduce local businesses that can print posters. RT2018 itself is unable to print posters for attendees. Your poster must include a photo of yourself in the top corner to easily find the author during the conference and facilitate the networking. One of the authors, or a colleague who is registered for the conference and who can speak knowledgeably about the material, must be physically near the poster throughout the session (with reasonable breaks, of course, and opportunities for the presenter to walk around and look at other posters). Posters that are put up by a colleague and left abandoned, with no one nearby to answer questions, are much less valuable to other attendees. Such posters are strongly discouraged and will be ineligible for Proceedings papers. 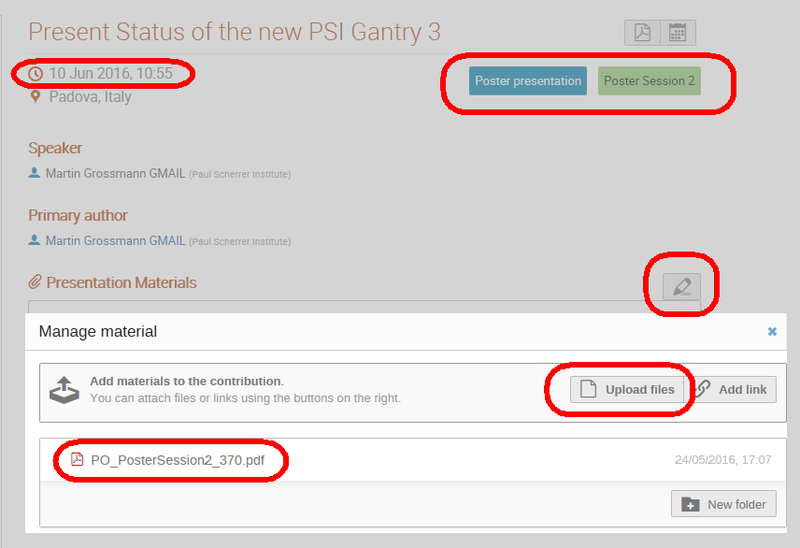 The timing and location of poster sessions, including setup and (by implication) teardown, are shown in the table of sessions on the Program page of this website. We will provide a place to store posters in the morning so that you don't have to carry them around all day.